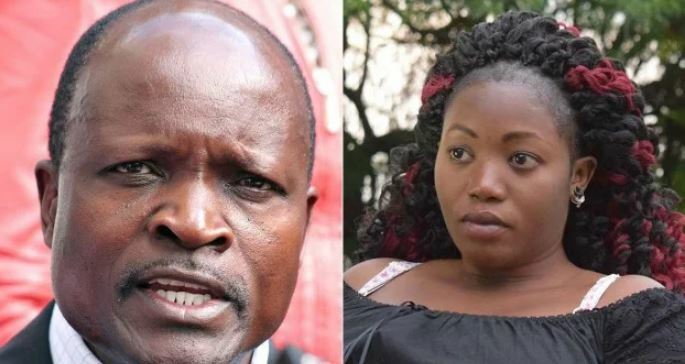 Okoth Obado’s romantic affair with slain student Sharon Otieno was not a secret, the governor’s lawyer, Cliff Ombeta, has said, adding that it was out in the public long before the recent turn of tragic events. “When the photos were circulating in social media long before this, It was not a secret even the people in the county knew about it…there was a relationship,” Ombeta was quoted. “It is a normal thing for people to have a moment of weakness but speaking of murder no,” he said. The lawyer also called out politicians for publicly calling for Obado’s prosecution saying politics has taken a center stage in the investigations. “We mourn and we are sorry that this happened but let us not think with the heart, let’s think with the head. Why are politicians commenting…look at Sonko, Kilonzo, Kaluma.. all this are politicians,” he said. Ombeta further said the protesters calling for the governor to be arrested should stop adding that they are not the police. “If the detectives were to follow such pressure from the public then it is not right. The presumption of innocence must also be there,” he said. “The police can only arrest when there is evidence and facts are laid bare not because of the public pressure. If that is the position then the sky will be the limit,” Ombeta added. Ombeta further noted that the governor is not excepted to return to the police station for questioning.